Dark in the Valley:Stack chairs in 2 rows to create a valley in between, where the kids will sit. Turn off the lights to illustrate how dark it is in the valley. Get kids to line up in 2 lines, facing each other, forming a long “valley”. Get 1 kid to try to get from one end of the “valley” to the other. Give kids 1-2 plastic balls; they have to try to throw the balls at the kid in the “valley” (below knees only). The kid in the “valley” has to get from one end to the other without getting hit. Once the kid is “hit”, he’s out. The Valley Gate is probably named that because it overlooked the Hinnom Valley, one of the several valleys surrounding Jerusalem. 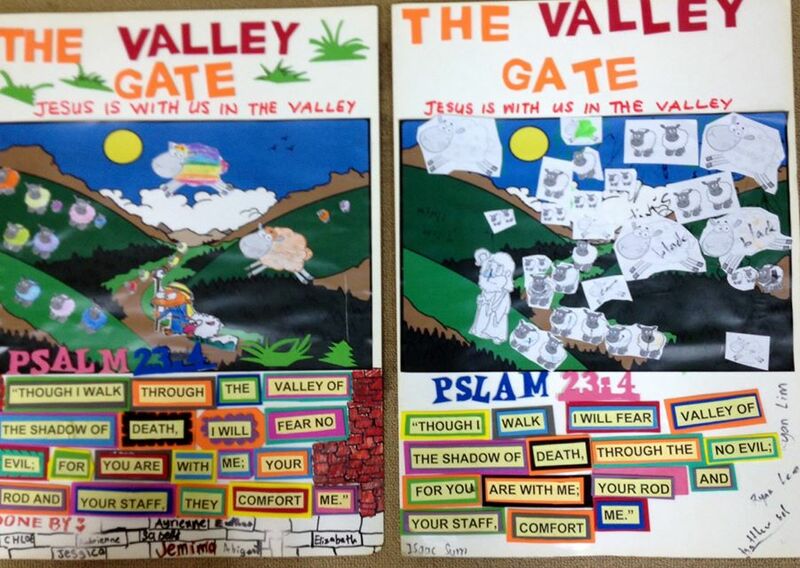 What does the Valley Gate remind us of? A valley is a low area of land between hills or mountains. It can be a beautiful place with streams of water, but it is often seen as a dangerous place too. Dark: Sunlight is blocked by the surrounding hills/mountains, so it can get quite dark. Dangerous: The sheep and people walking through the valley are often vulnerable to predators and robbers who are hiding in the hills/mountains. When we talk about valleys, we normally associate them with the low and tough times in life. All of us will go through difficult times. Our parents will go through difficult times. Sometimes it’s health issues, school issues, friends issues, parents issues, money issues. We’ll feel sad or tired or angry or afraid. But in Psalm 23, David (the shepherd boy who became king) writes about the Good Shepherd and how He takes care of the sheep. Jesus is the Good Shepherd, and we are all like the helpless little sheep. The Lord is my Shepherd, I shall not want. The Good Shepherd takes care of the sheep, provides for their needs, brings them to green pastures and cool waters. Doesn’t the “valley of the shadow of death” sound scary? Not just valley, but a valley of shadows; not just shadows, but shadows of death! After all, death can be a really scary thought. But did the sheep feel scared? No! Why not? Because the Good Shepherd is with Him. Yes, we don’t have to be afraid when we go through valleys. Because Jesus is with us. His rod and His staff comfort us. Whatever difficult and tough times we go through, Jesus is there to take care of us and to protect us, and He will bring us through the valley! 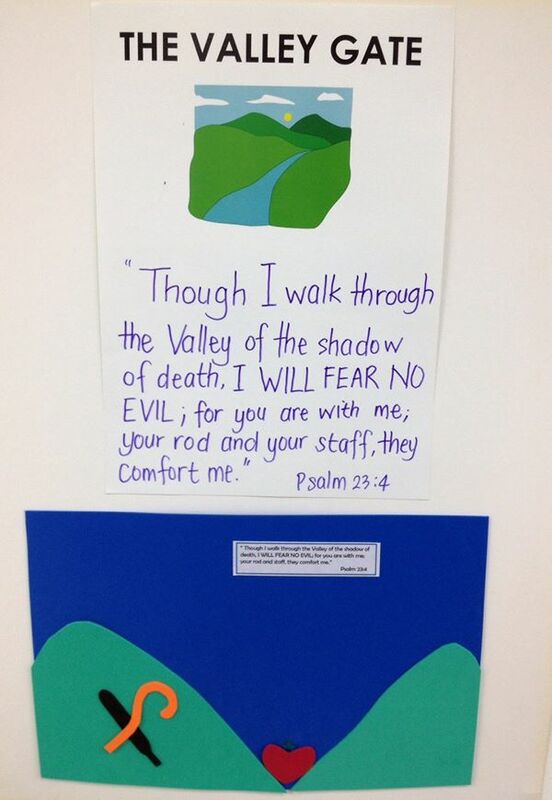 The Valley Gate reminds us that Jesus is with us in the Valley!